Bill Windsor of Lawless America is preparing an expose of online dating site predators. Dishonesty and crimes in America are not limited to government, judicial, and law enforcement personnel. I have worked with a half dozen women who were victimized by online dating site predators. 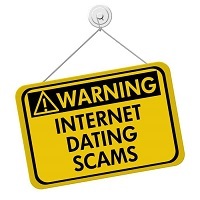 Reports indicate that 1 out of 10 people on dating sites are scammers. One online dating site scammer came to my attention when a woman in Florida told me that she had been taken for $125,000. At first, we thought this might be an isolated incident, but as more photos were obtained, I kept finding more information. This includes a report that he was previously sent to prison for a Ponzi Scheme and was ordered to repay $1.6 million to people he defrauded. The Florida guy is still scamming a way, it seems. At least the photos of the guy are being used. We've found sites indicating "he" claims to be an investment expert and a healer. He claims he can heal you with his voice. I think we have about a dozen LinkedIn accounts using the same photo but various names and in various countries. The Florida guy also has a Go Fund Me campaign going. Claims to be ill. I will contact this man to allow him to tell his side of the story. He could be a victim as well. There are reports that his photos have been used by scammers. But the woman in Florida says she had a Skype video call with him so she can identify the smamer name with the real name/identity. We shall see. An alleged Texas man appears to be one of the most notorious online dating site scammers. Dozens of aliases. I say alleged Texas man because he is most likely from another country. Please be careful with people you meet online. Lawless America...That's where we live. First and Last, simply never give anyone any money for any reason. Second, be cautious as there are some crazy people out there. Always meet so you have your car and are able to leave when you choose. Always meet in a public place. Third, protect your identity. Never use your name or other identfying information on a dating site. No photos with name badges or signs that would show who you are or where you live. Choose a screen name that doesn't identify you. If you are a widow, put that you are single as scammers love to target widows. Don't give specifics about your occupation or church or anything else that might enable a scammer to locate you. Fourth, don't give your last name, address, or any personal information until you are absolutely sure the person is a good person. Get a separate Yahoo or Gmail email address that you use ONLY for dating; your other emails can be traced back to you. Phone numbers can also be traced unless you are careful; get a separate phone just for dating, or always place the call and hit *67. Only use photos that you have never used anywhere else online. Keep your identity confidential by using photos that cannot be traced. Fifth, check to see if the person you are communicating with is a scammer. Use Google Reverse Image Search. This checks the person's photos against Google's massive images database. Page all the way down when results are generated from the search as the bottom of the page will display other web pages where the photo is being used. When the person's photo appears on web pages using different names, you can be pretty sure you have a scammer. Sixth, get a today photo. A great way to smoke out the scammers is to ask where they are right that second. Then ask them to email a selfie holding up a piece of paper with your first name on it at the location they said they were at. Have them include a link to their dating site profile when they email the photo. That makes it easy to see if they look like their photos. You will never hear from the vast majority if your suspicions were right that they are a scammer. Those who claim their phone is broken or won't take selfies is almost certainly a liar. Seventh, ask them for a Skype or Face Time call. This will weed out the fakes and those who have used old photos. Skype is a free download for a computer or a smartphone. Set up a Skype account that you only use for dating. Any honest person can download it and have a call with you. Your phone number is never given on a Skype call.